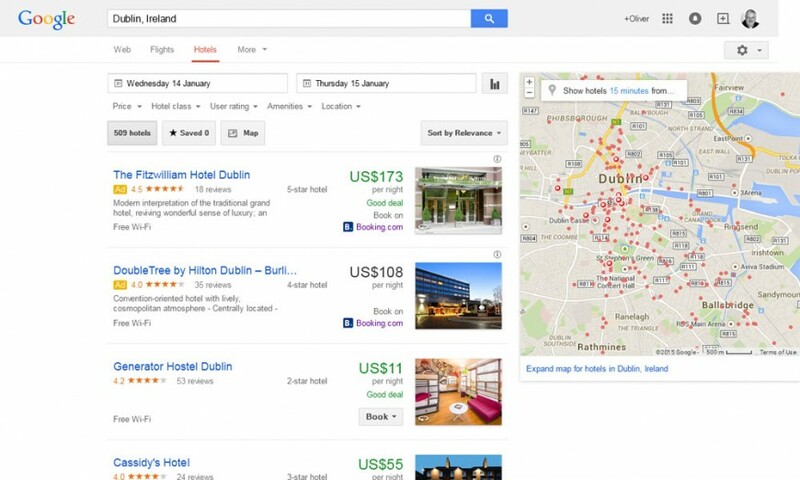 What is Google Hotel Finder? Google Hotel Finder is a new product designed to make it easier to compare and book hotels that are found across the web. Dublin is currently one of five cities worldwide to currently have the facility. Other cities which have Google Hotel View include London, New York, Rome and Zurich. Try it out at google.com/hotels. Search for and find hotels according to what is important to you, such as price, location, amenities, and user ratings. Review accurate and detailed information about those hotels, including photos, virtual tours and amenities. View location information to help you decide where to stay. Keep track of your top choices of accommodation with the Save button. Connect with hotels and vendors to reserve a room or ask for more information. Read here about the advantages of Google Hotel View virtual tours. The Woodford Dolmen Hotel Google Business View virtual tour. Aer Lingus did a great job using our tour on their website! So honoured to receive a Google European Photographer's Award! I love this tour (you) created for us!